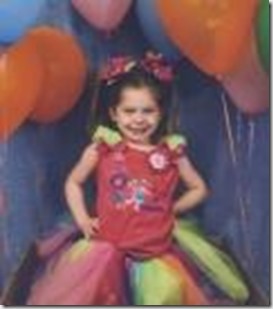 Dakota “Rae-Rae” Raelyn Larsen, 5, was born on May 8, 2013 in Williston, North Dakota and earned her angel wings on May 17, 2018 in Conroe, Texas. Rae- Rae is preceded in death by her great- grandparents, Wilber Going, Roger and Edna Larsen, Fritz and Alice Olson; grandpa, John Larsen; uncle, Damon Larsen; great uncle, Monte Olson and David Olson; She is survived by her father, Roger Larsen; mother, Kimberly Larsen and her partner Tommie Criddle; brothers, “Bubby” Monte John Larsen and Bubba David John Larsen; step brothers, Troy Criddle III and Wesley Criddle; nephew, Korbynn Larsen; grandparents, Roger Going, Penny and husband John Spradley, Janeen Larsen; great-grandparents, JJ and Nethel Ulmer, Audrey Going; aunts, Shonna Going, Tiffany and husband Karl Jukkola, Karolyn and husband Leigh Dobmier, Ann and partner John Townsend, Jonna and husband Karl Lennon; step uncle, Ryder Criddle; cousins, Cory Titus, Gaige Nutter, Keegan Jukkola, Kolton Jukkola, Skyla Leach, Tracey Temple, Nichole Youngquist, Jacob Youngquist, Sophie Lennon, Tiffany Smith, Brit Smith, and Jordon Smith. Dakota was a free spirited little girl and never feared anything. She was loving, smart, joyful and determined. She will always be in the hearts of everyone she encountered, especially her parents. Dakota loved to ride horses; her favorite horse is named Betsy and four wheelers. She was our little country girl. She loved entertaining everyone with her singing and dancing, she was a true rock star. Dakota was a social butterfly with her big blue eyes. Dakota always protected and will always protect her Bubby Monte. A visitation will be on Monday, May 21, 2018 from 11:00am to 12:30pm with the funeral service starting at 12:30pm at Cashner Funeral Home in Conroe, Texas.